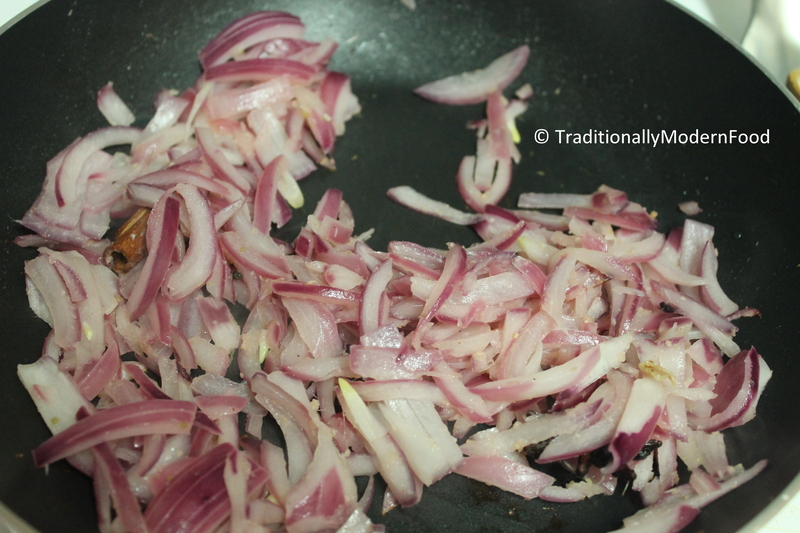 I usually prepare Capsicum rice with onion , ginger garlic paste, whole garam masala etc. 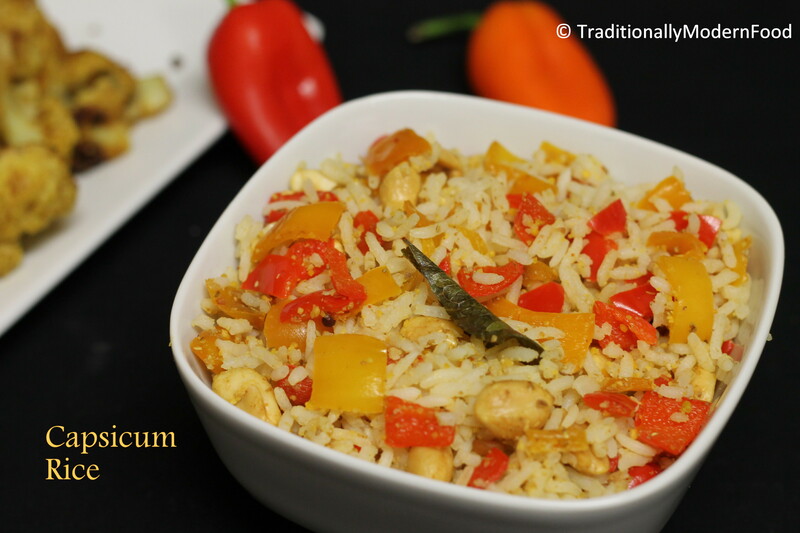 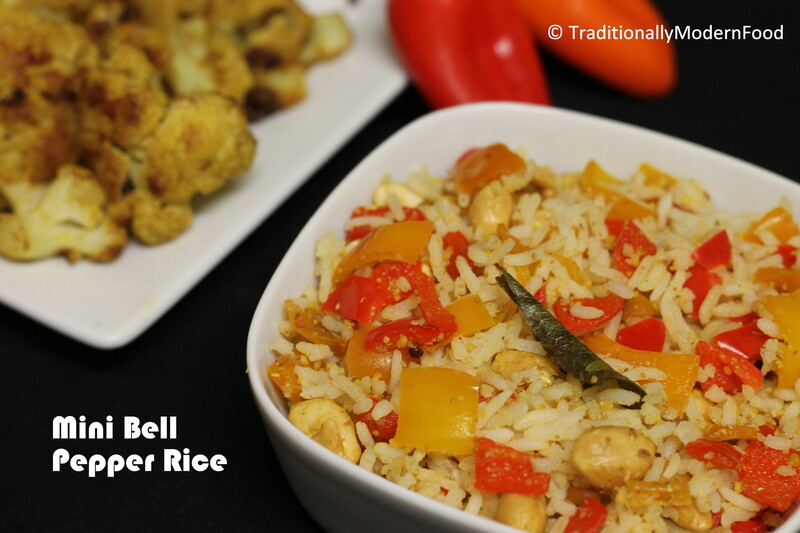 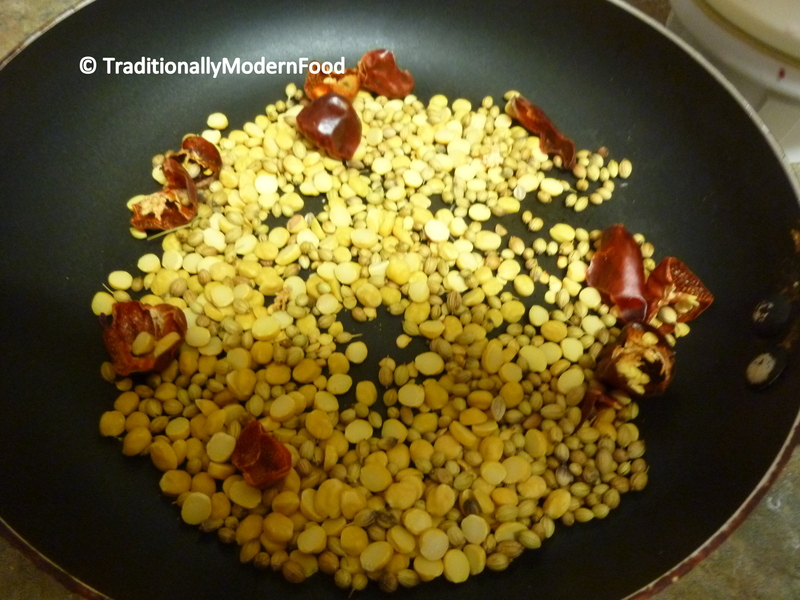 When my mom visited us she prepared Capsicum rice with curry powder, and I loved it. 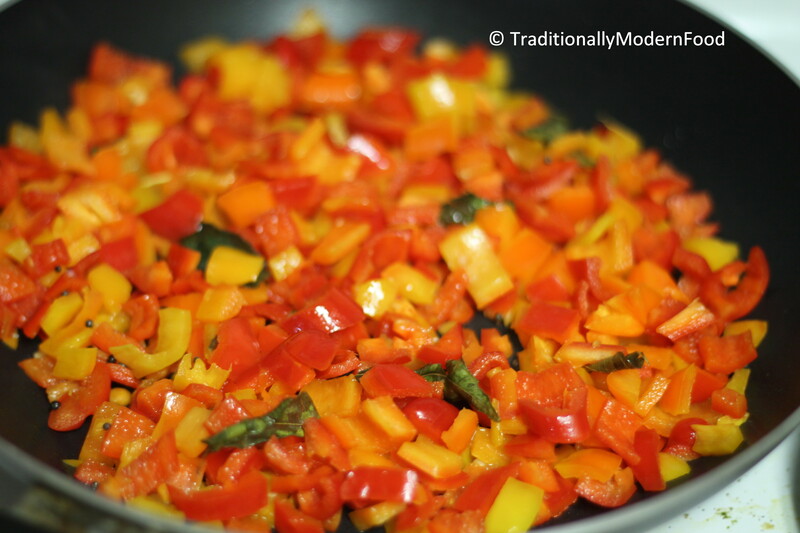 I frequently use green bell peppers for preparing this but one day was out of it, and tried with mini peppers. 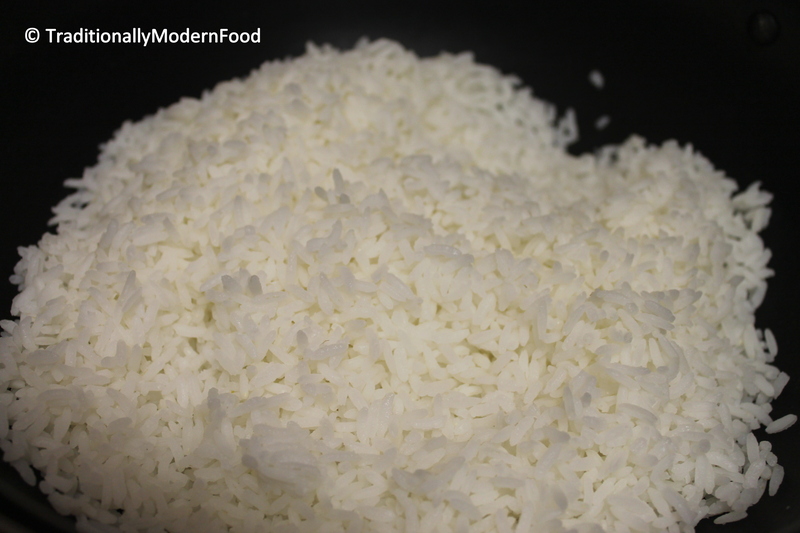 This colorful rice will be a kids favorite lunch box menu. 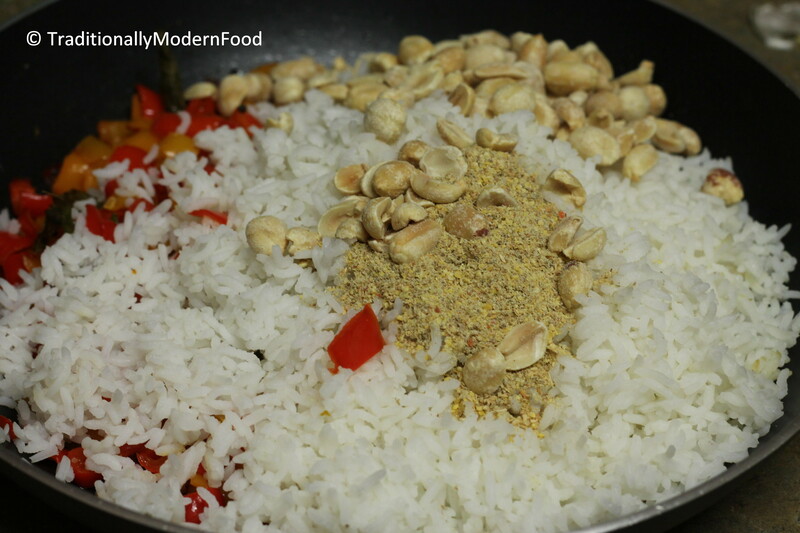 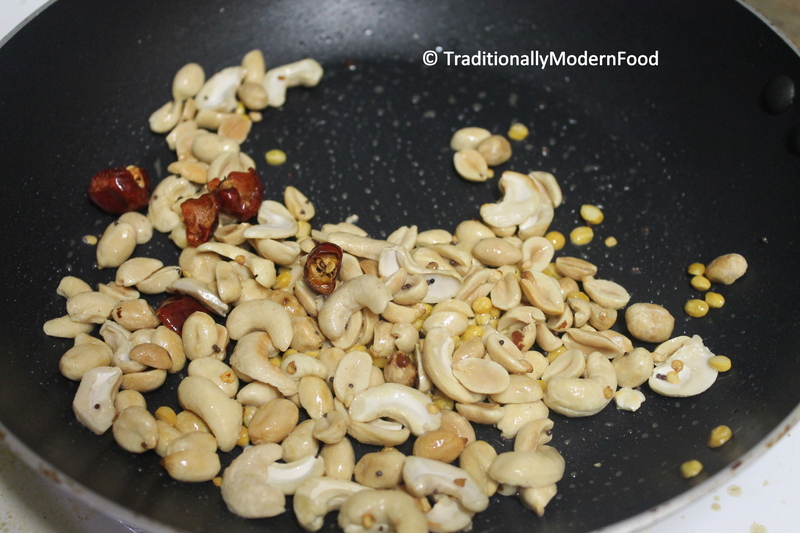 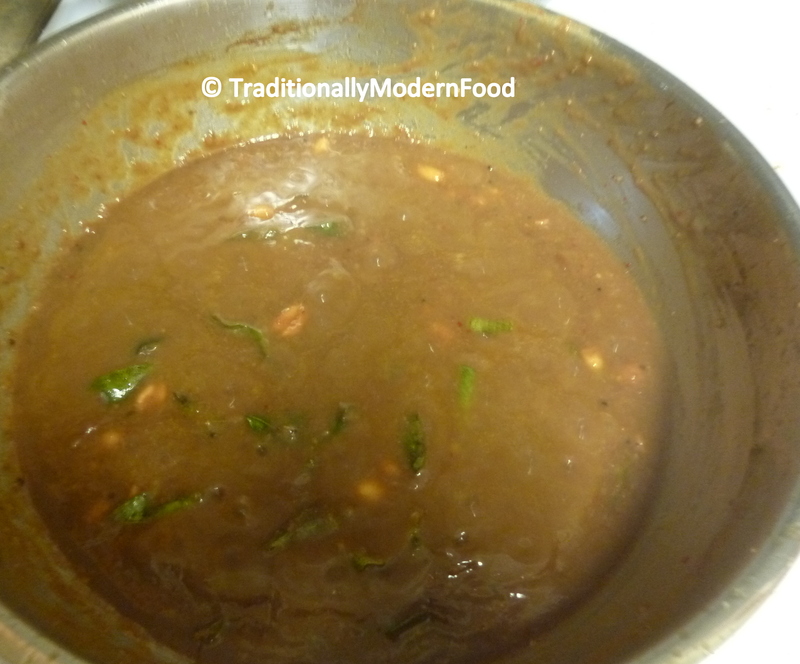 Add the cooked rice, spice powder, peanuts to the peppers and mix well. 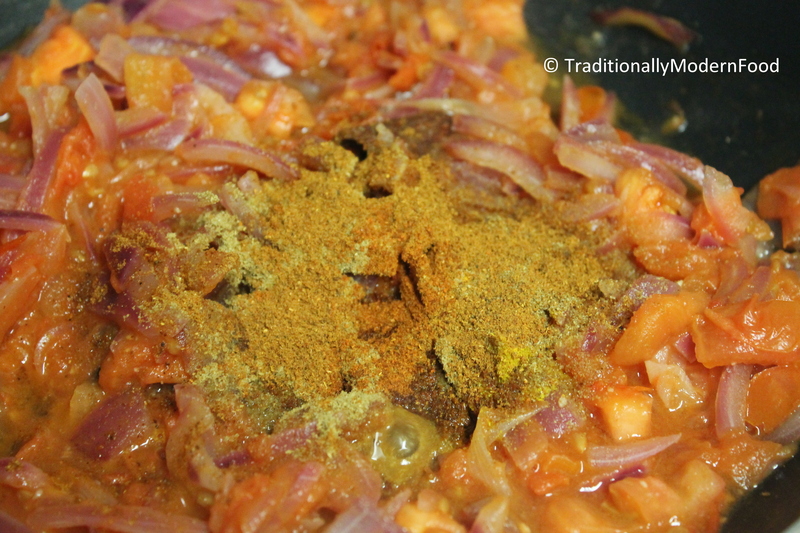 Check for the seasoning and add salt if required. 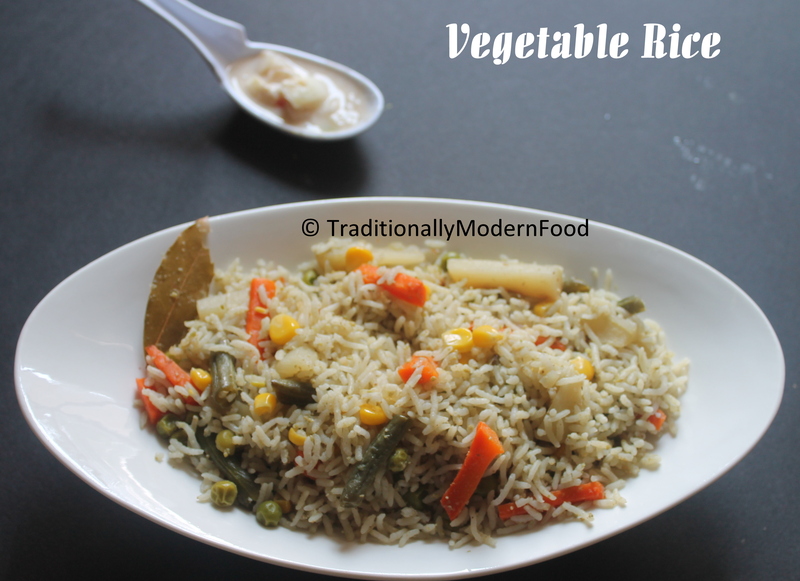 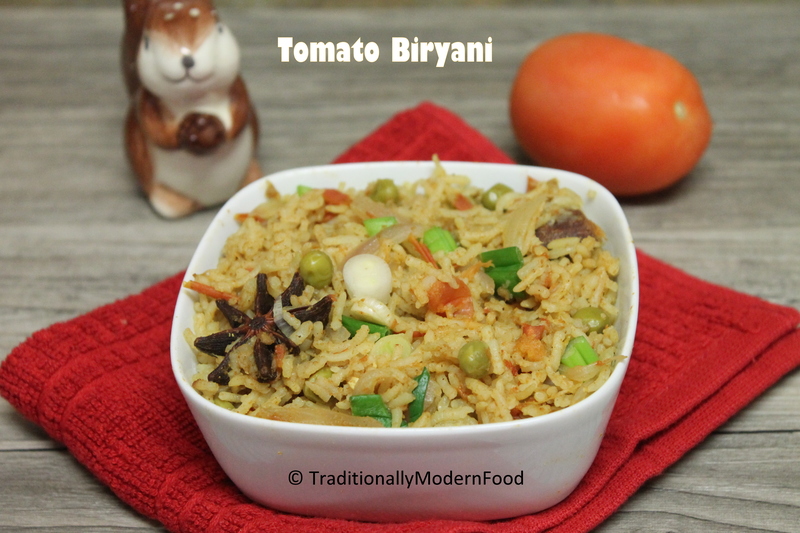 With mixed vegetables, I had already posted Vegetable Biryani Recipe. 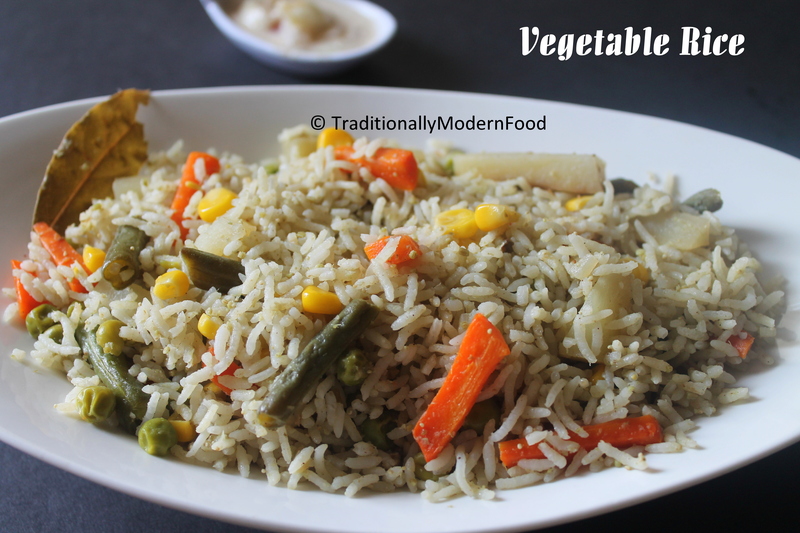 Ever since our school days, this is my Amma’s style of doing fried rice. 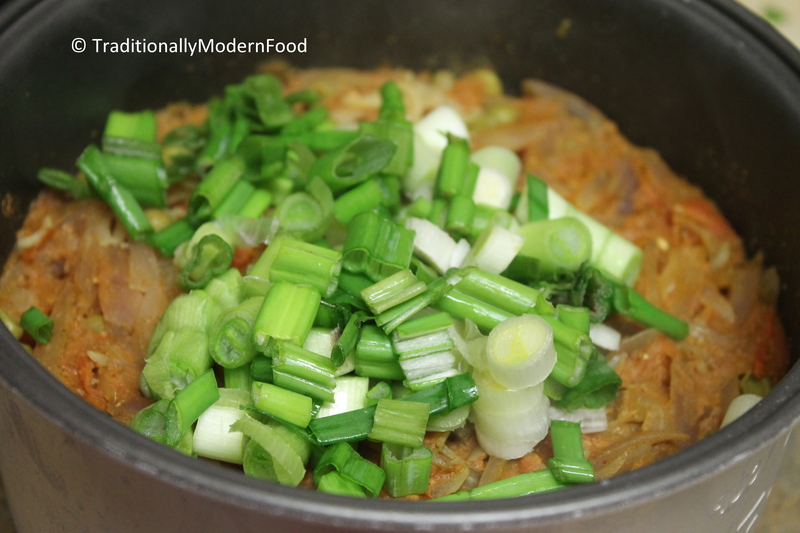 My mother prepares this directly in pressure cooker, but I used rice cooker. 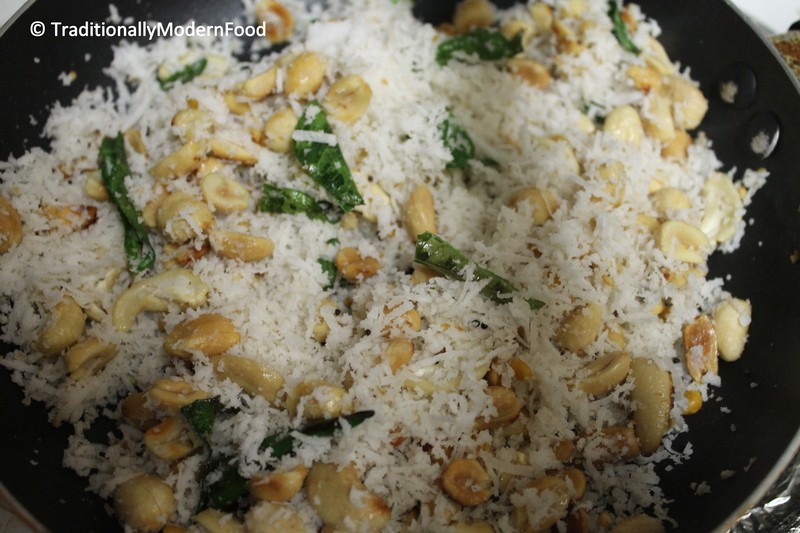 My sister’s friend asked me for this recipe, so I thought of posting it. 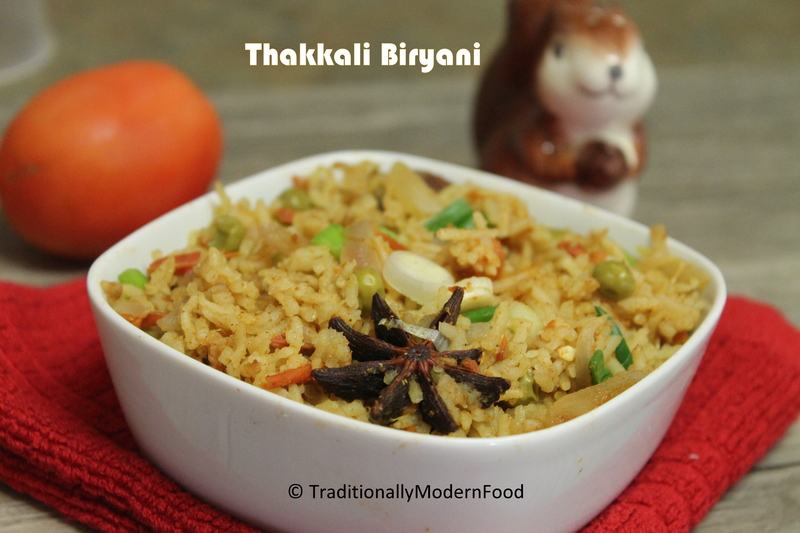 Pulikaichal is a classic traditional recipe. 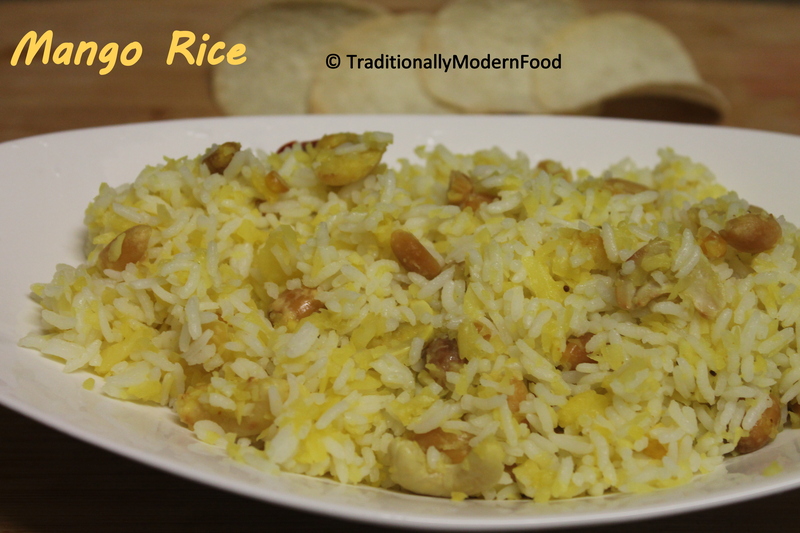 When mixed with rice, tangy variety rice is ready (Puliyodarai). 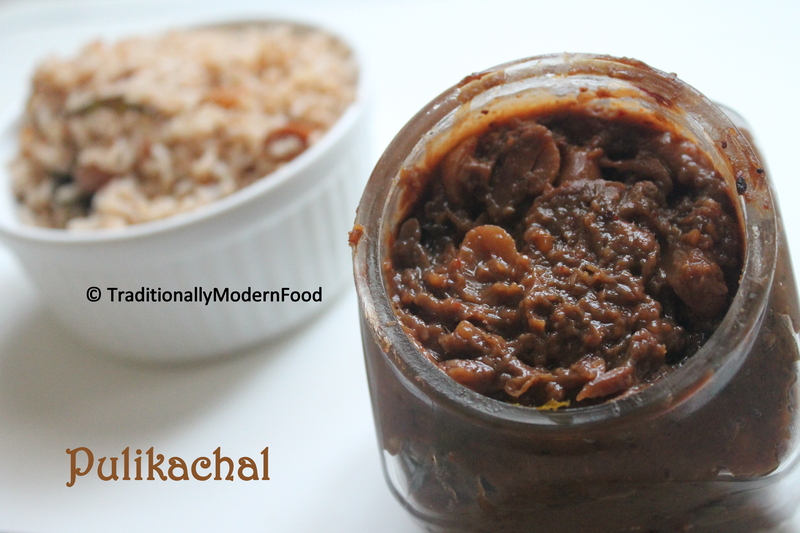 It also goes well with dosa/ Idli tiffin variety, and acts as a yummy pickle to curd rice. 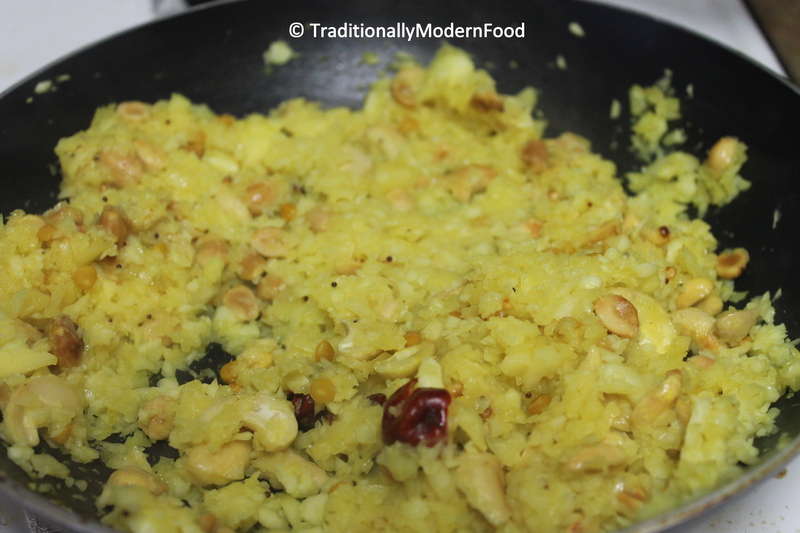 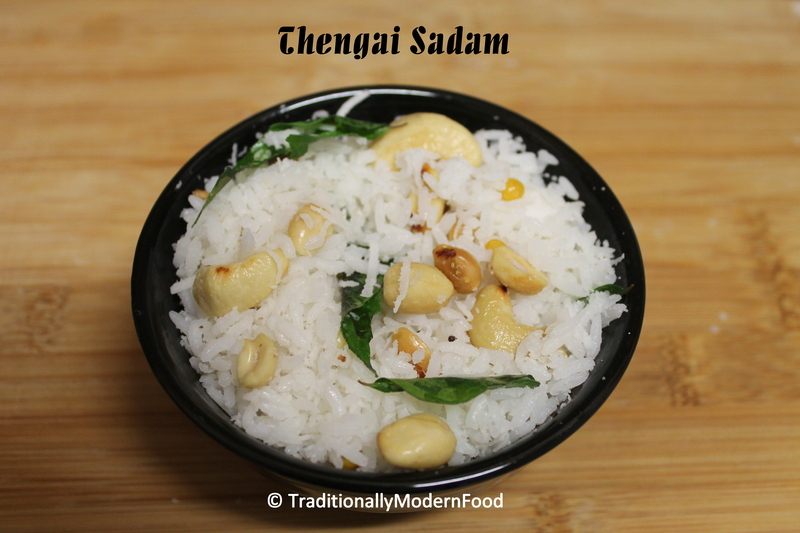 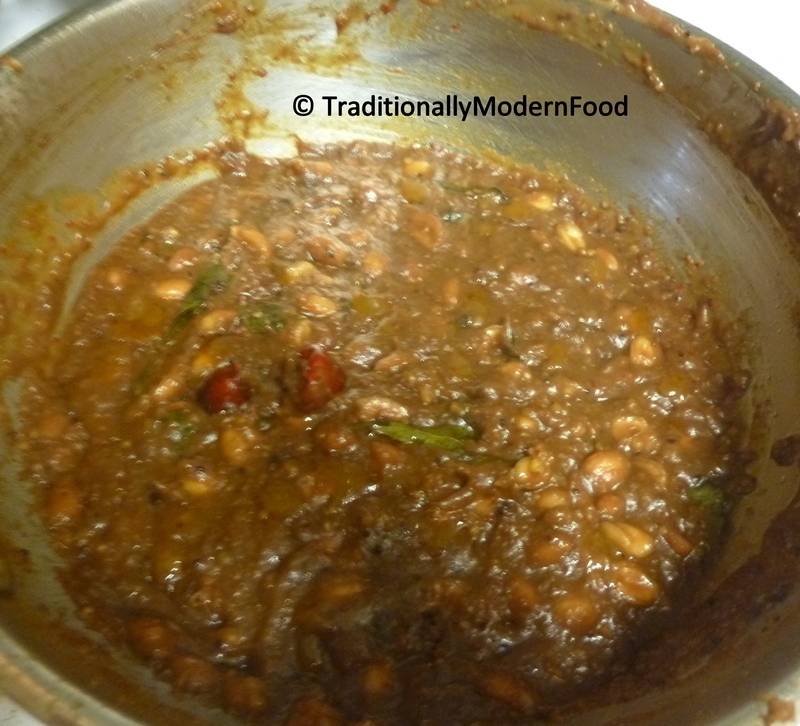 It is a great travel recipe too, also a festive recipe prepared during kannum pongal and aadi perukku. 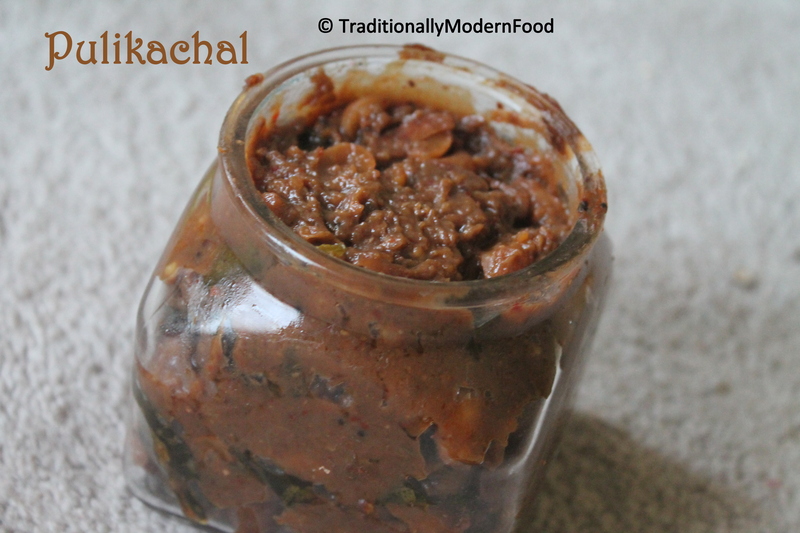 It stays good even for a month (when refrigerated) or upto a week (outside), if stored in an air tight container and accessed with a clean dry spoon. 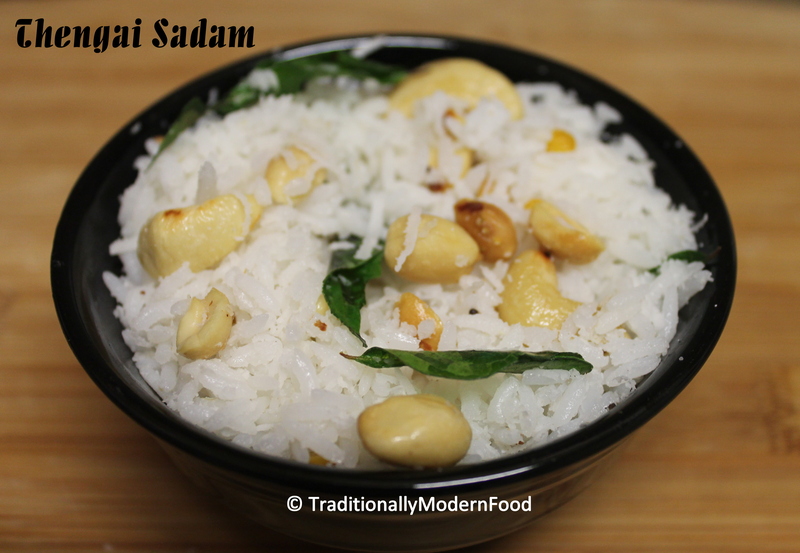 This is one of the most favorite prasadam in temples. 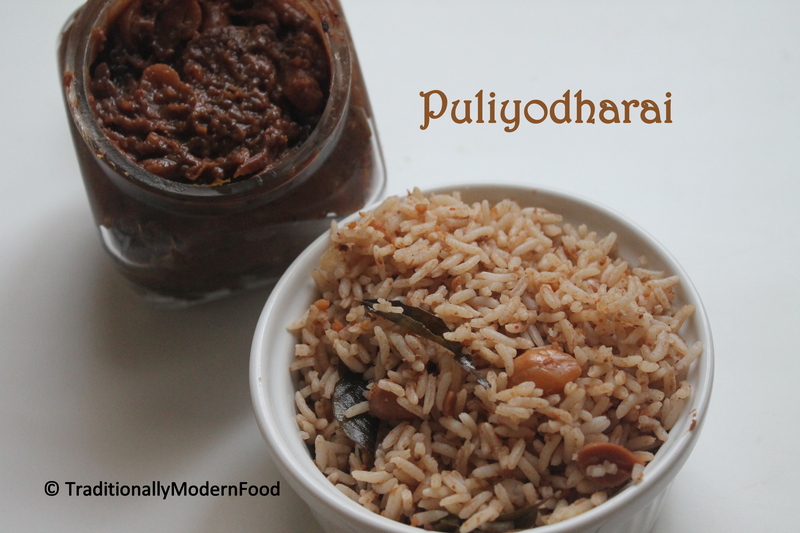 It’s good to have Thakkali Thokku/Pulikaichal in fridge, and during busy days these two pastes help a lot. 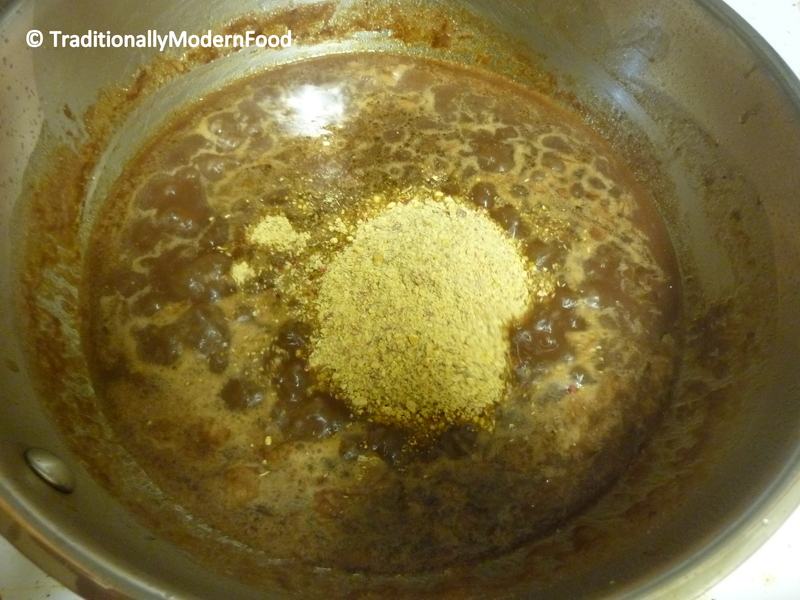 Keep stirring occasionally. 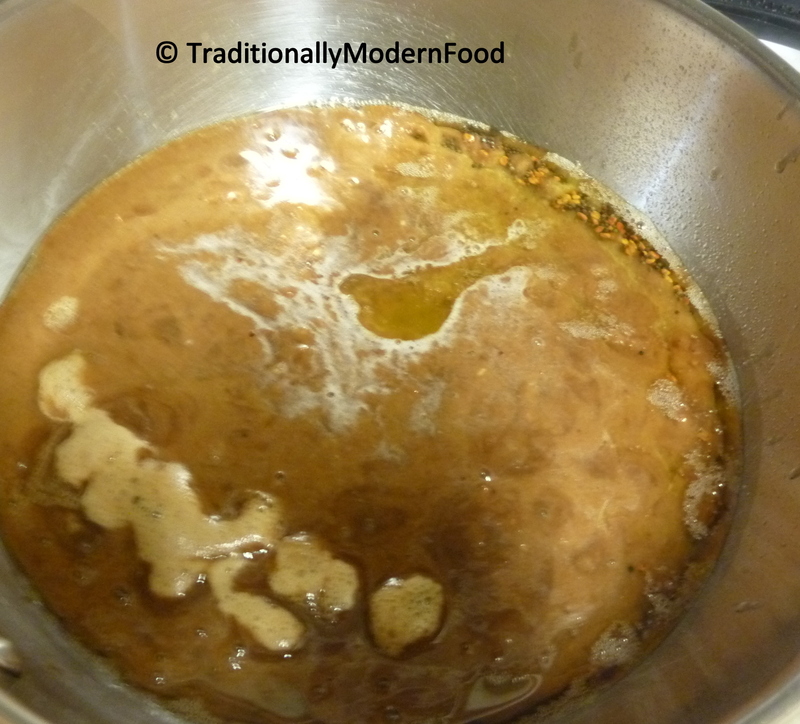 When oil begins to seperate and the mixture becomes a thick paste (and raw smell goes off completely), switch off. 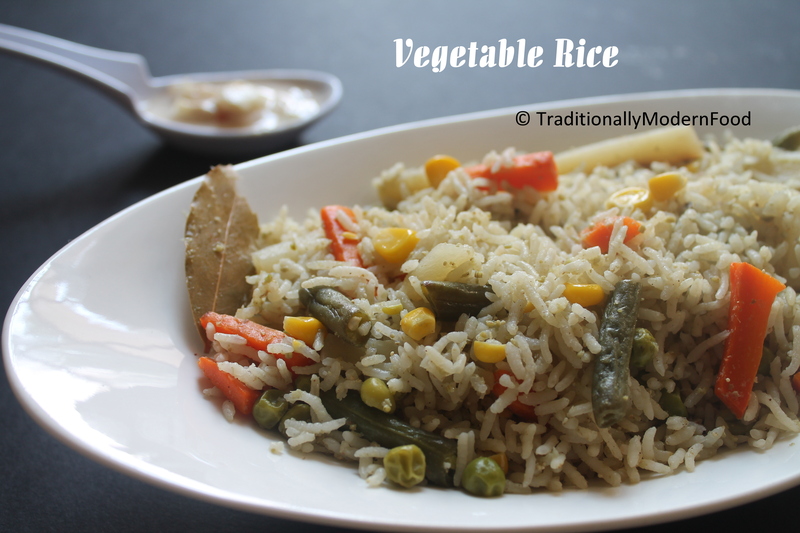 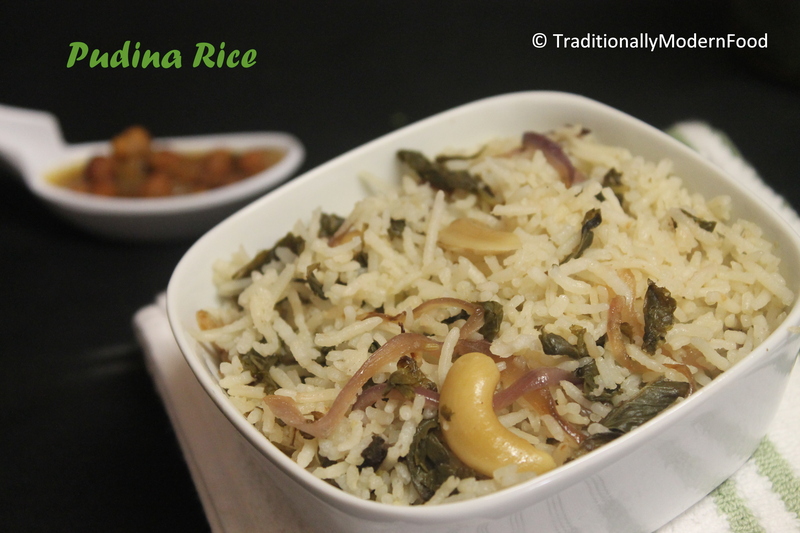 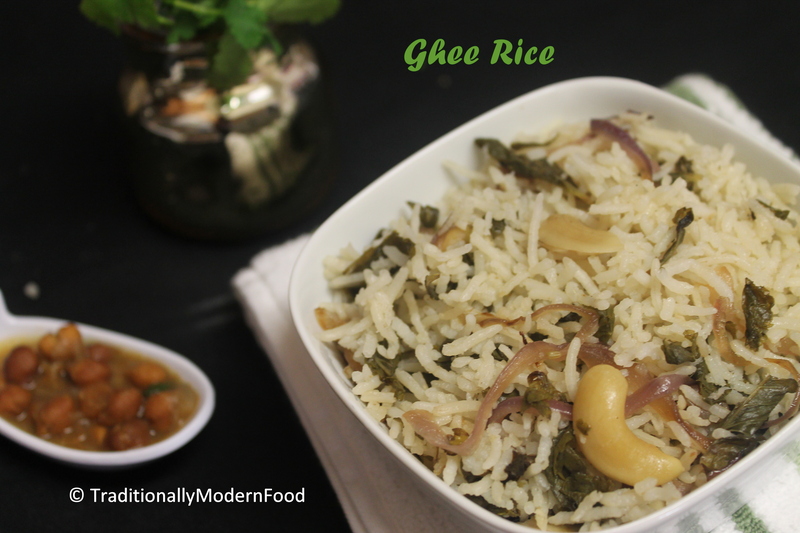 Whenever I have confusion on what to cook for rice accompaniment, or during busy days, Variety rice is the one which helps me. 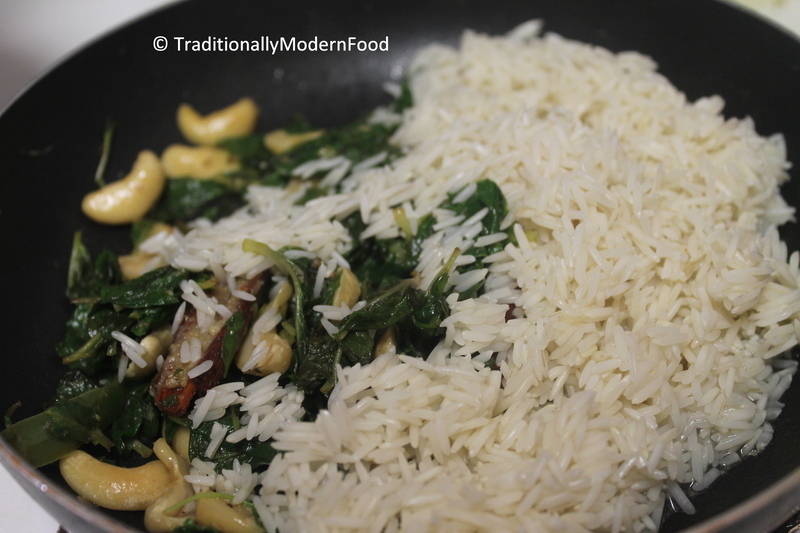 Easy to cook, and a complete meal. 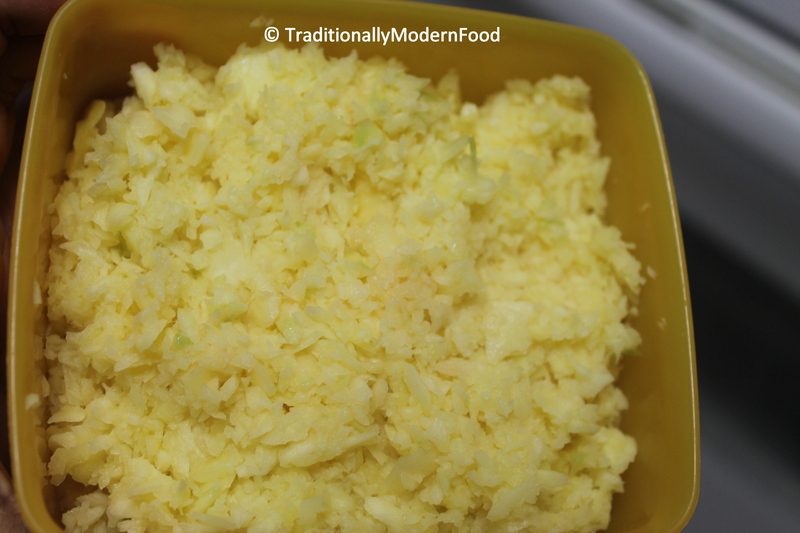 I was thinking of coconut rice, but when I opened the fridge, saw raw mangoes and brinjal. 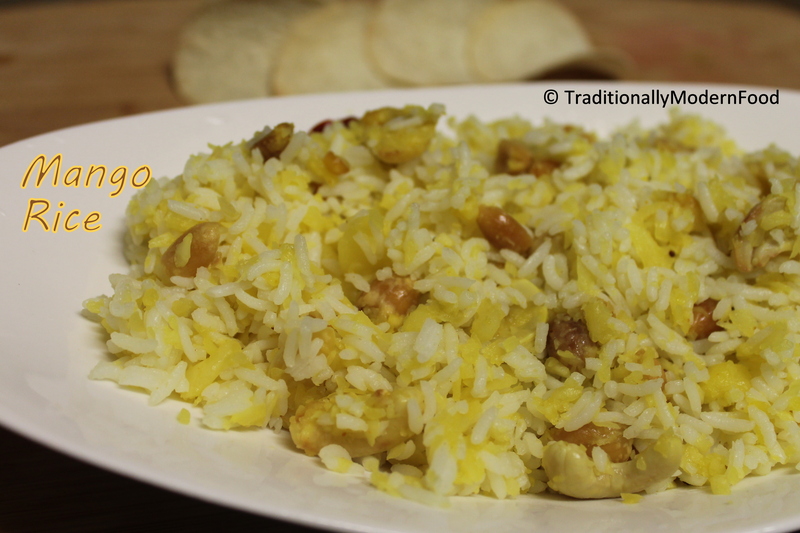 Brinjal rice is my favorite, but whenever I buy Mangoes I always do instant mango pickle. 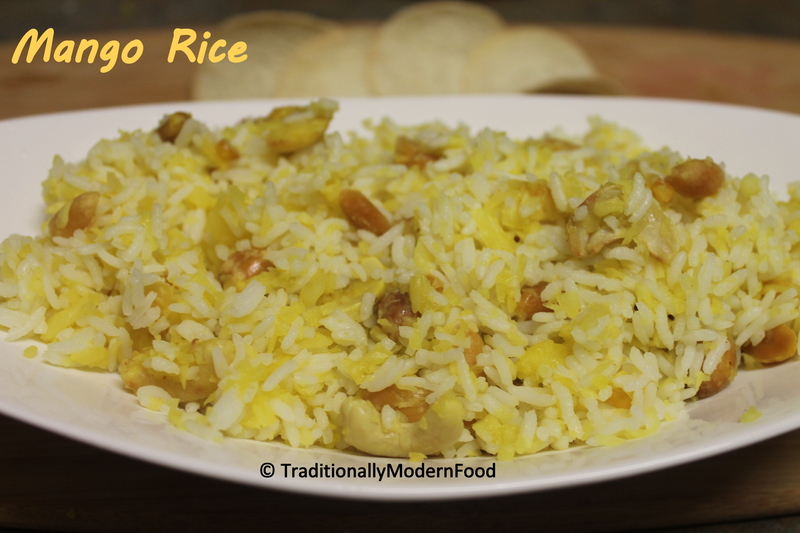 This time, for a change, I tried Mango rice and after tasting it, decided I should do this frequently.